Rotational grazing is the practice of rationing out grass to animals. Instead of cows having access to a big huge field, portable electric fence is used to ration out a small section of it. And there are a lot of good reasons to so it. Cows will eat what’s in front of them. They won’t spend as much time walking around, trampling perfectly good stuff, looking for something they might like better. Moving to fresh pasture on a regular basis helps minimize the parasite load. Cows aren’t in an area long enough to make big mud-holes, where flies and other bugs congregate and breed. Cows that are frequently moved learn to move quietly and calmly. Health issues tend to be caught earlier because cows are checked more often. From the grasses’ perspective, rotational grazing sort of copies the world that existed when animals migrated. It gets eaten, stomped on and pooped on for a day, and then gets a long time to recover. Leaving a cover of grass after the cows leave the field means that rainfall has time to soak into the ground instead of washing off of bare fields, and into our waterways. And keeping the cows themselves out of the waterways is important for water quality. And it all sounds like a great idea and pretty simple and all that – until you’re the one doing it. And it’s May. And it’s 85 degrees. And the black cows who thought that thought they were supposed to spend their days standing in the pond are all of a sudden fenced out. We were ready to provide shade in August, but May? Black Angus cows work well for lots of producers in Virginia, but they obviously weren’t going to work for us. 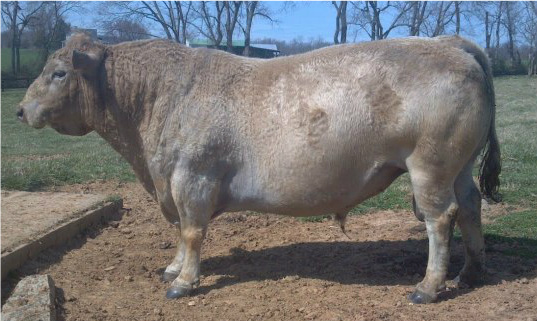 In 2004 we bought a bull on an on-line auction. Buying bulls on-line isn’t such a big deal now, but “buying a bull on e-Bay” in 2004 was. We bought a bull we never saw, from people we never met, and worst of all, he wasn’t a Black Angus. He was white – a total recipe for disaster. Even though we didn’t actually buy this bull on e-Bay, that’s what people said. 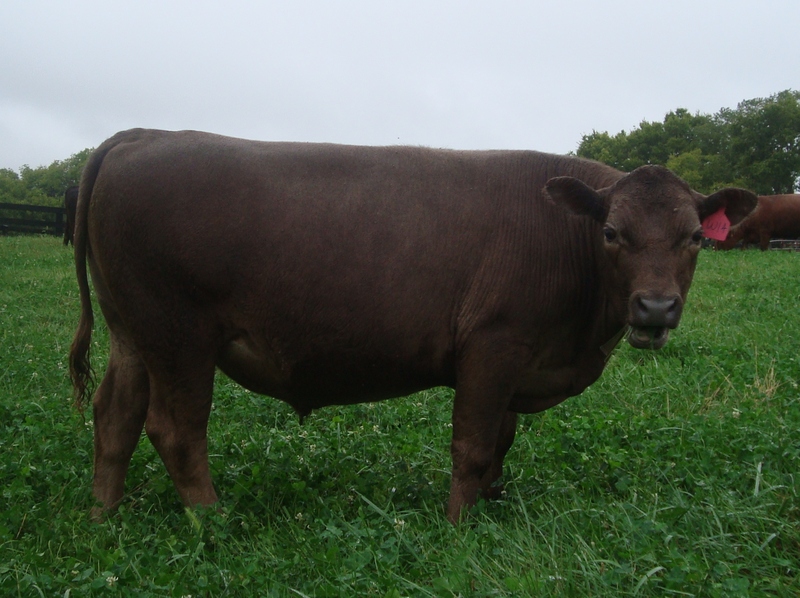 Steers like this helped convince us that “buying a bull on eBay” wasn’t such a bad idea after all.